This is your personal place to jot down any kind of notes you want. No one else sees your Notepad - it's just for YOU! Come back anytime - you'll be right where you left off! 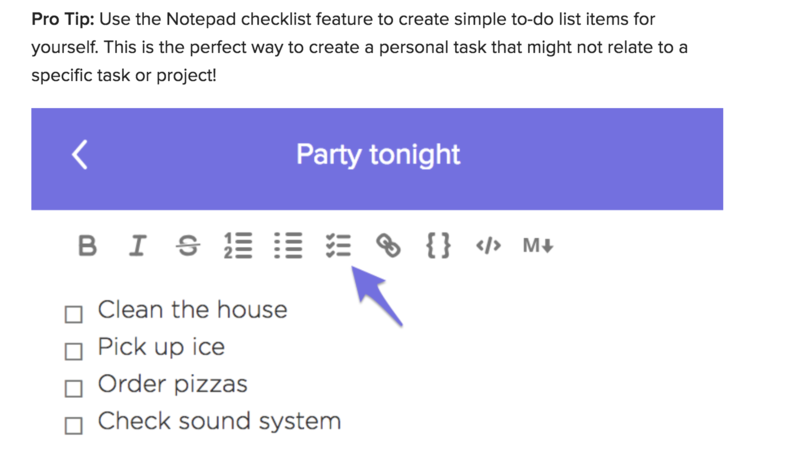 Pro Tip: Use the Notepad checklist feature to create simple to-do list items for yourself. This is the perfect way to create a personal task that might not relate to a specific task or project! 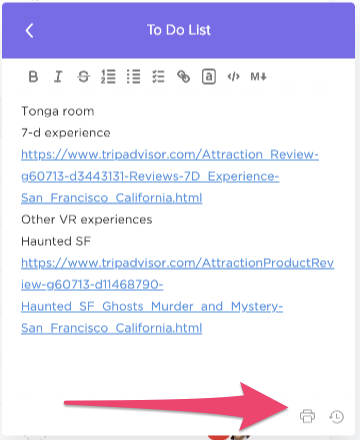 Take your notes with you via the Notepad by ClickUp Chrome Extension! Plus, you can take your notes with you via the Notepad by ClickUp Chrome Extension!